Come explore wine country in the southwest Michigan, just a short journey from downtown Chicago. 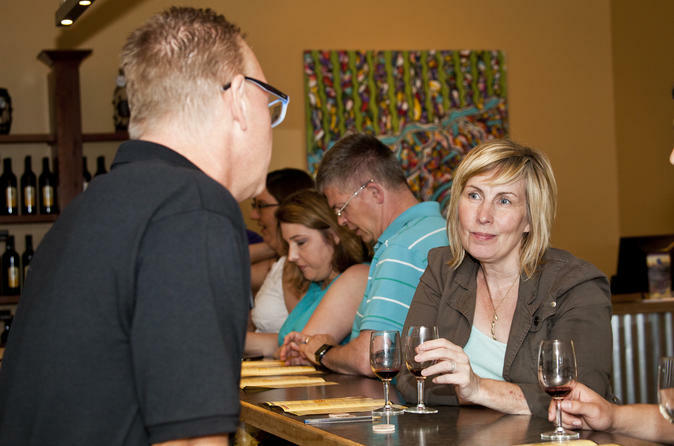 Discover what this region has to offer and experience wines that are food friendly and amazingly different than what you will taste in California or France. The private tours are perfect for both novice and experienced wine lovers who want to learn more about growing grapes in colder climates and the process of making wine from vine to glass. The tours are hosted by a knowledgeable wine maker who will answer any questions along the way as you stop at three different wineries along with a gourmet lunch break. The tours include round trip transportation, all tasting fees, and lunch. If you have a larger group, a private pickup can be arranged. If you are staying in a downtown Loop hotel in Chicago, a pickup from your hotel can be arranged. Start your day with a pick-up from your centrally located Chicago hotel. Take part in a departure toast then head out to visit three wineries for your day in wine country. As the day progresses, your guide will explain to you how grapes that have been cultivated for cold climates have a special character that cannot be found in other parts of the world. In between tastings, you will have the chance to enjoy a delicious 2-course gourmet lunch which is, of course, paired with wine. At the end of your tour, your driver will bring you back to your hotel.